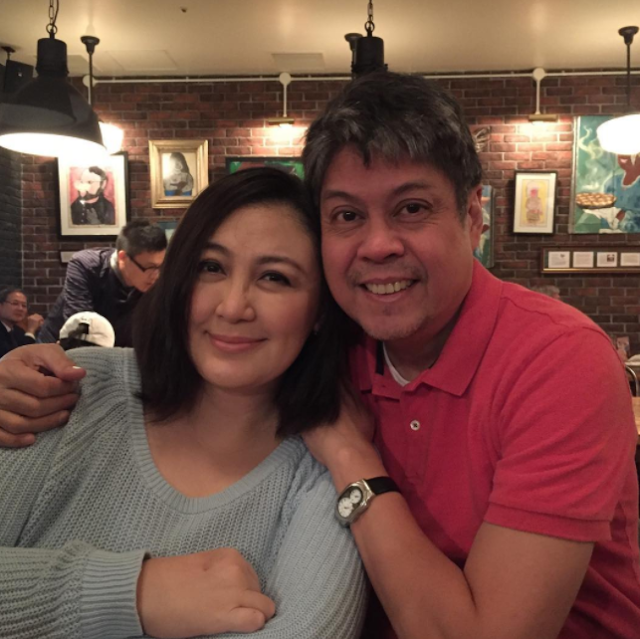 Senator Francis "Kiko" Pangilinan and actress Sharon Cuneta's marriage has long been ended, but both are just staying together for the cameras, reported Abante from a source which it said was close to the couple. The report was published on Thursday, December 7, alleging that Pangilinan and Cuneta only pretend to be happy in front of the cameras, to save their reputation. Pangilinan is a famous politician, and Cuneta is one of the country's most respected actors. According to the source, Cuneta has not stayed at the home she shares with Pangilinan in Ayala, Alabang for a while. Meanwhile, Pangilinan stays at his farm in Cavite, which his wife has not visited either. The unnamed source declined to reveal the reason why the couple separated, though rumors have persisted over the years that their marriage was on the rocks. On September of this year, Cuneta has denied such allegations on the variety show “ASAP”. "People will always speculate so whether I deny or I admit or give a reason and say something else, they will always believe what they want to believe. Ilang beses ko na ding nasabi na walang perpektong marriage. So ganun lang 'yon, pero hindi lang naman 'yun ang pwedeng problema," Cuneta said. But the star also admitted that she is dealing with several problems. "May pinagdadaanan, hindi lang isa, hindi lang dalawa. Nao-overwhelm lang ako, tapos kasabay pa ng trabaho. Kasi sa akin, turbo kapag dumarating ang problema. Kailangan sabay-sabay , sunod-sunod, hindi katulad sa regular na tao," Cuneta added. Cuneta will allegedly reveal the truth about her marriage sometime soon, according to the source.